Welcome the holidays with substance and style while avoiding a huge dent on your wallet, as Worldbex Services International, in partnership with ABS-CBN, brings you the highly anticipated yuletide event of the year, the 12th World Bazaar Festival! Stop by the World Trade Center – Metro Manila from December 7 to 23 to witness the Metro’s biggest and longest Christmas charity bazaar. The much-awaited event is set to become more than a grand shopping affair with over 800 booths, as it will also feature Bloggers United 4, where the country’s top bloggers will converge for an ultimate celebration of fashion and ingenuity. Shoppers will get the rare opportunity of interacting with their favorite bloggers during meet and greets and photo shoots. So spread the spirit of merriment and sharing, as you give back to your loved ones and the ABS-CBN Foundation, Inc. Doors open from Mon to Thurs – 12nn to 10pm and Fri to Sun 10am to 12mn. From December 15 to 16, expect fashion royalties from the blogosphere with the likes of Divine Lee, Camille Co, Laureen Uy, Kryz Uy, and Lissa Kahayon to showcase a glimpse of their closets through their own booths. Grab this exclusive chance to score some of your most favorite bloggers’ clothes, shoes, bags, and accessories, and update your wardrobe to match the seasons’ current styles. A fashion show will feature a rundown of wardrobe must-haves you could get at reasonable bargain prices from the retail and blogger booths. The young and fashionable will also get a sneak peak of what’s in store for the next season, with Snoopy’s Holiday Street Fashion Show. Also, watch out for other eye-candy and trendy bloggers, such as Victor Basa and David Guison, who will be ready to take photos with their loyal followers. With over sixty participating bloggers, Bloggers United 4 is definitely a fashion event that shouldn’t be missed, if you don’t want to be out of the loop when it comes to fashion and its influencers. Only the 12th World Bazaar could make it possible for you to get close and intimate with these modish bloggers, so save the dates and prepare for the catwalk! Shopping for a cause has never been this exciting, stylish, and affordable! Indulge in a grand shopping experience at the 12th World Bazaar Festival for the benefit of the ABS CBN Foundation Inc. this December 7 to 23 at the World Trade Center Metro Manila, and catch the Blogger’s United 4 from December 15 to December 16. The 12th World Bazaar Festival is once again brought to you by Worldbex Services International, the leading events company who continues to deliver world-class events for every Filipino to enjoy. 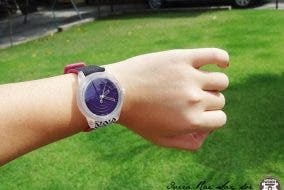 Q&Q SmileSolar Watch: Solar Powered Battery-Free Watches Available in Manila!